Did you know that solid objects, such as the walls of a building, create a shield from electromagnetic fields? Every day we are exposed to electromagnetic fields (EMFs) in the home and workplace. EMFs are produced by anything with an electric current flowing through it. In the home, this may include electrical cabling, lights or electrical appliances (for example a tv, fridge, kettle or hair dryer). In the workplace, this may include machinery, computers, fax machines, photocopiers or telephones, lights, electrical cabling and nearby powerlines. What is not widely understood is that powerlines generally contribute little to the EMFs that can be measured inside a home or workplace. This is because solid objects, such as the walls of a building, create a shield from the EMF. In fact, a typical house generally shields the occupants from at least 90 per cent of the EMFs from the outside environment. According to a draft recommendation from the Australian Radiation Protection and Nuclear Safety Agency, EMF exposure for the general public, should be limited to 1000 milligauss over a 24 hour period. The table below provides examples of exposure levels of common sources of EMFs within the home and workplace. 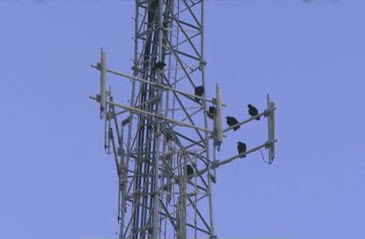 How Much Longer Are The Effects Of Cell Tower Radiation Going To Be Ignored? Question: how can the World Health Organization (WHO) say on one hand cell phones are possibly carcinogenic and on the other completely ignore cell tower radiation? Especially when we know its the cumulative effects that are particularly dangerous….remember, unlike cell phones, cell towers emit radiation 24/7. Professor Girish Kumar of India has been pondering this and other questions relating to cell tower radiation. Following his campaign , the local government of Gurgaon (a large financial and industrial centre in India), shut down 298 cell towers in a residential areas last January. Want to know how he did it? He bribed a few officials? He had friends in high places? He just argued a very good case. Actually he produced an excellent report (several reports in fact) on the dangers of cell tower radiation. The main one is a reply to a 72 page long report and well worth the read. – the sensation of “hot ear” that many people feel when using a cell phone can cause ear tumors; the temperature of the ear lobes increase by 1C when a cell phone is used for 20 minutes or more, this warm sensation/pain can lead to tinnitus and irreversible hearing loss. This can in turn lead to an ear tumor. – if you look in the small print in the user manuals of cell phones the manufacturers are actually giving (discreet) warnings about radiation exposures. Notably for the BlackBerry smartphone the user manual recommends keeping the phone at least 0.98 in. (25 mm) from your body when it’s in use. – the risk for brain tumors from cell phone use is much higher in young adults when compared to older adults, the Interphone study included only adults between the ages of 30 to 59 years. – nobody is saying ban cell towers, we know that without antennas the network would not exist and people could not talk to each. What we are saying is “why transmit so much power?”. In India, Telecom operators transmit 20W of power per carrier and they use a number of carriers. Also, antennas of multiple operators are placed on the same roof top or tower to cut down the cost, so cumulative transmitted power is very high. The operators should not transmit more than 1 to 2W of power in the densely populated area. I think this is really important information, otherwise I wouldn’t be sharing it with you. Its important particularly if you are in the beam (as described above). But don’t get hung up about cell tower radiation. Instead, concentrate on what you can do, deal with the other sources of EMF radiation FIRST, before you start waging war on cell tower radiation. Protection against surrounding EMF (Electromagnetic Fields) is a necessity for anyone who is in contact with electromagnetic radiation on a daily basis. EMF protection products work by absorbing the radiation emitted from electrical and wireless devices, so that they can still be employed regularly. If you are worried about the health problems associated with electrosmog and harmful radiation, you should consider talking to a specialist who can offer you a range of devices including mats, bath balls and shields. Mobile phones, laptops, wi-fi networks, home electric wires, microwaves and light bulbs are just some devices in the home that could cause problems to the body, unless EMF protection products are purchased. Any item that is electrically powered or that functions with a wireless connection could be causing you a major risk. Exposure to this kind of radiation is not always detectable, due to electrosmog being invisible. Despite this, EMF protection will ensure that any fields of radiation are picked up. Instead of attacking the nervous system of the body, EMF protection products will shield from and absorb the electrosmog radiation, so that you and those you live with are safe from electromagnetic radiation exposure. 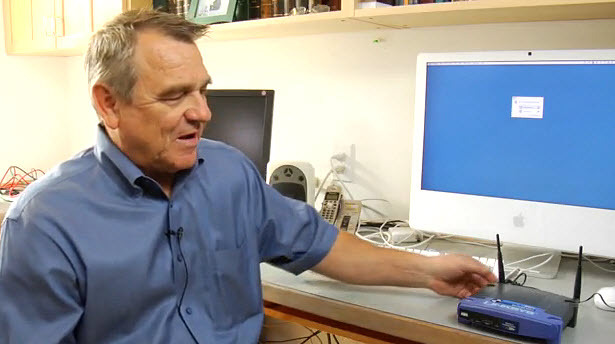 While someone who does not have any EMF protection in the home may be at risk of problems with the immune and nervous system, other people who work with or are exposed frequently to laptops, computer serves, and mobile/cell phones, hand-held game consoles continuously, will be far more susceptible to complications. When a person has frequent exposure to radiation of this kind, the intensity levels to withstand exposure will reduce, meaning that EMF protection products become a necessity. If items are used moderately and further away from the body, it is possible to eliminate the amount of radiation emitted. However, to really feel safe that no long-term issues arise, including cancer, it is advisable to apply EMF protection products in the home environment. Many different EMF protection products are available on the market and they are becoming increasingly popular, because of the amount of electrical and wireless users in the world. These EMF protection devices are structured to absorb extortionate amounts of radiation, which ensures you are not dealing with electrosmog problems. Conductive and magnetic materials make up these items in layers and this shielding prevents electrical devices from coming into contact with the outside world. Depending on how many items in your home could be causing you symptoms including headaches, fatigue, behavioral problems and depression, you can choose an EMF protection product that is either for small frequency levels or large frequency levels. Electromagnetic fields are a danger to health and while some long-term causes are not known, it is possible that the immune system and DNA structures could deteriorate, unless you purchase EMF protection . Visit adrprovita.com to purchase products for the entire family including bed mats, chair mats and personal safety devices and cell phone pouches. There is more and more concern regarding exposure to EMF radiation. Even the EPA in the US is cautioning people. Authorities in many sectors are using caution themselves even though they may not be urging the public to do so. If authorities admit there is a problem then they have to do something about it. There are very powerful lobbies that donate money to the re-election campaigns of political candidates. It is not so easy to vote against something when there is money in your pocket not to. Grass roots movements are suggesting that if the governments are unwilling to correct problems then an individual and family initiative must be started so people can protect themselves and their loved one. Here are some suggestions to help limit your exposure. 1. Caution your children and family members not to play near or under large power line right of ways, near transformers, microwave towers or radar domes. 2. Get your family, friends and neighbors together and buy a Gauss meter, then measure everything inside and outside your homes. 3. Use a Gauss meter to measure EMF radiation from the appliances in your home when they are operating. 4. Measure the radiation from your TVs, routers, computers and laptops with a Gauss meter. 5. Check the EMFs registering near the outside walls of your home, then if there are significant readings, go outside and see if you can trace the source. If it is coming from your neighbors you might want to have a friendly chat with them. 6. When watching TV, sit at least six feet away or as far as possible. 7. Measure your work and school environments for radiation. 8. Avoid any area that has a Gauss meter reading above 1 mG.
9. Measure the radiation activity of appliances that are turned off. Any that are actively radiating should always be unplugged when not in use. This is paramount for your microwave oven. 10. Never use an electric blanket. 11. Always unplug your water bed before getting into it. There may be a resident high electric field if it is left plugged in. 12. Place all electrical appliances like TVs, computers, microwave ovens, refrigerators and so on, on the outside walls of your living space to avoid irradiating the next room. 13. Quartz analog watches radiate pulsing waves of EMFs that travel along the meridians in your arm and hand. You would be wise to get an auto-wind watch. 14. Wear as little jewelry as possible when in high EMF reading areas and be sure to take your jewelry off at night. 15. All cordless appliances like electric toothbrushes, razors and hairdryers give off EMF radiation and should be avoided. 16. Eliminate dimmers and three-way switches from your home. 17. Avoid running wires under you bed or along the wall at the head of your bed. You may also want to put the head of your bed towards the center of the room to avoid the EMFs given off by the wiring in the wall. 18. Never stand anywhere near the microwave when it is running. 19. Keep everything electric at least six feet from your bed in any direction. 20. Sit as far away from your computer monitor as possible. Each monitor has its own particular EMF rating. 21. Avoid smart meters if at all possible. There is a way you can avoid having one installed in your home or your neighborhood. 22. 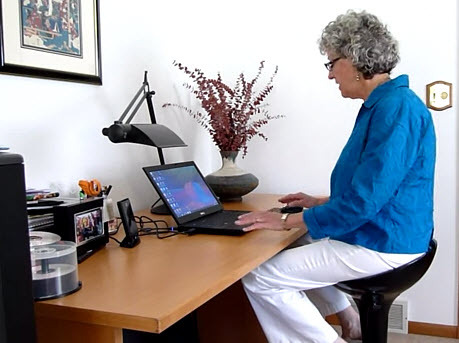 Rearrange your office so you are not exposed from the sides or behind from EMF radiation. 23. When using an electric hair dryer buy an adaptor hose that is at least 3 feet long and use it to stay as far away from the hair dryer as possible when it is operating. 24. Try to buy fruit and vegetables that has not been packaged. Food packaged in trays and covered with plastic wrap could be irradiated. 25. Use Shieldite pieces and pendants to disrupt EMF radiation in your home, office and on your body. First, we worried about the dangers of radiation that resulted from standing too close to the microwave. Then it was the fear of possible brain tumors with heavy cell phone use. Now, some are saying that merely being in close proximity to a Wi-Fi connection is dangerous to your health. Last year the World Health Organization (WHO) announced that it emits radio frequency electromagnetic fields (RF) – a possible carcinogen – and that it was placing Wi-Fi on the same list as car exhaust, lead, and DDT. 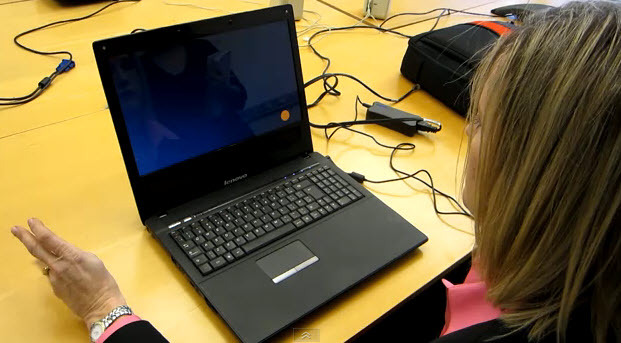 One Ontario private school in Collingwood, Pretty River Academy, has already removed their previous system and replaced it with an Ethernet Internet connection prior to the start of the 2011-2012 school year. Principal Roberta Murray-Hirst explained that the switch was purely a precautionary measure, “”We like to be proactive and obviously safety is always a concern,”” and noted that Pretty River Academy has not received any health complaints from parents or students. This connection issue raises a number of questions – especially now that Wi-Fi is ubiquitous and the radio frequency electromagnetic fields emitted are invisible and have no odor. Moreover, the majority of its services are always-on, meaning the RF is constantly saturating the area it resides in. From office buildings to airports to your local coffee shop, these days Wi-Fi is everywhere; and the fact that the WHO is equating the dangers of it to those of car exhaust, lead and DDT is disturbing to say the least. While some believe that trying to protect yourself and your kids from the ‘risks’ of this connection is the same as trying to protect them from the common cold. However, while there is no quick cure for the common cold, there is an easy solution known to reduce exposure to RF: turn off the Wi-Fi and plug in. Not only are plug-in connections to the Internet safer for your health, they are more reliable, faster, and less susceptible to security risk. If you’re concerned about your children and possible cell phone hazards, you’re in good company. More and more parents these days are educating themselves about mobile phone radiation and health risks of children using cell phones. Yes, there’s a huge controversy raging about whether cell phones are dangerous at all-to anyone. If you do just a bit of research on the topic, you’ll find a whole range of conclusions. Many scientists claim more research has to be done in order to determine that mobile phone radiation is actually harmful. On the other hand, there are also numerous scientists who’ve concluded that the evidence is clear: cell phones are definitely dangerous. • Breaks down the blood-brain barrier. Not only that, but numerous studies over the last decade have also linked mobile phone radiation with brain tumors, diabetes, autism, ADHD, and other behavioral disorders. Even if there are conflicting conclusions of scientists-does this really matter? Are we going to wait till all the researchers finally find agreement sometime in the future (if ever) before we start getting concerned? If you have children, mobile phone radiation is even more of a concern. Many of the main studies that state there is inconclusive evidence of mobile phone hazards have relied on tests done with models of 6′ 2″” men, weighing 220 lbs. It seems it would be obvious, but these tests are not applicable to smaller adults-and especially not to children. Not only are children smaller in general, their heads are a lot smaller and their skulls are thinner. This means that radiation can penetrate their brains more deeply, more quickly. In addition, their brains allow for greater absorption of the radiation, due to a high water and ion concentration in them. But don’t panic. All this is really scary for a parent to read. But there are things you can do, short of taking your children’s cell phones away. 1. Limit their time on their mobile phones. 2. There’s really no need for babies, toddlers or young children to use a cell phone. 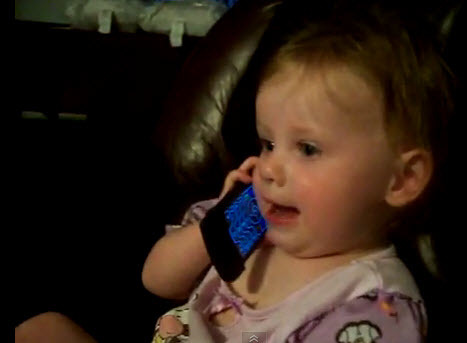 So check any urge you might have to see how cute your little one is when speaking into a mobile phone. 3. Purchase an air-tube headset for your child to use. Do NOT get a Bluetooth-these cause more continuous radiation to enter the head. 4. Encourage your children to not carry their phones in a pocket. They should keep them in a backpack or another bag as far away from their bodies as possible. A belt-holder won’t do the trick either, because these have been linked to liver and kidney damage. 5. Beware of buying a mobile phone based on its low SAR rating. Originally, this seemed a good idea. But the FDA has reversed its findings on this: low SAR phones often generate even more radiation, due to having to work harder at finding a signal. 6. Perhaps most importantly: look into getting mobile phone radiation protection. Remember, this is a serious matter; so don’t be sold on the inexpensive stickers, magnets or stones out there, purporting to protect you from your phone. Look for a reputable company that has been in business for a while and that explains their technology. Cell phone hazards are serious-especially for kids. Why take chances with your children’s health? Risks are too high. Don’t wait till the “”experts”” finally agree for sure on whether mobile phone radiation is dangerous. Take measures to protect your children today. 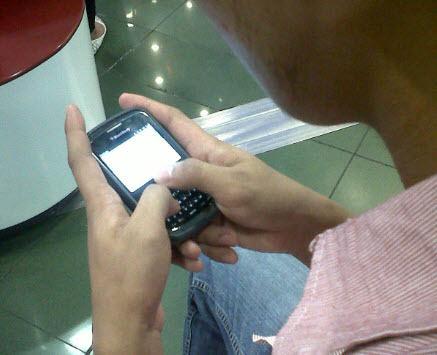 Around the world, virtually Five million folks make use of cell phones. 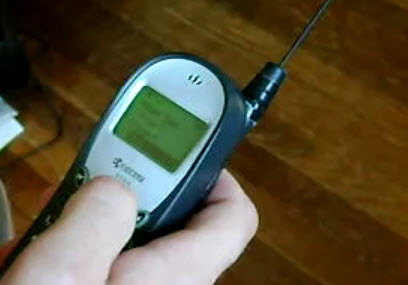 The actual cell phones use the micro-wave location from the radio waves spectrum to function. Recent studies get verified that will long-term weighty using cellphone is positivelly dangerous. The effects of the company’s radiation about the wellbeing associated with individuals has changed into a subject matter associated with investigation throughout extremely modern times as a result of enormous boosts within the using cell phones around the world. About the range associated with Worldwide Organization for Investigation upon Cancer, Planet Wellness Organization features grouped cellphone radiation while quite possibly positivelly dangerous. There are several additional health hazards such as infertility, hypersensitivity, increase in levels of stress in a very individual and also tumours within the mental faculties and also mind, for starters. The rate of which the skin soaks up radiation is tested by simply Specific Ingestion Charge. To be able to manage damages cellphone radiation can cause an individual, different countries get place radiation publicity restrictions about the highest degrees of SAR for modern mobile phones. These restrictions fluctuate in line with the nation in which you tend to be. For instance, in the united states, the Federal Marketing communications Payment features set highest SAR restrict of 1.6 W/kg while, throughout The european union, this kind of restrict is Two.0 W/kg. How much radiation emitted by simply cell phones depends upon the type of the mobile. Diverse mobile phones get different SAR scores. You are able to pick the best mobile, the one that contains the bare minimum standing, to shield on your own from the perils associated with radiation emitted coming from cell phones. It contains the possible ways to reduce the sperm fertility that face men, which make use of their own cell phones extensively, up to Thirty per-cent. Teenagers below the day of Of sixteen tend to be advised never to make use of cell phones needlessly throughout Britain. The insurance companies get clauses that will leave out the having to pay associated with settlement up against the health issues caused by the use of cell phones. Japan features banned the use of cell phones within the teaches due to Second hand radiation anxieties. There can be an boost associated with 300 per-cent within the probability of a person getting mental faculties tumours and also types of cancer as a result of using cell phones if you use the idea for longer than 500 min’s in a very 30 days. On a typical, a young child employs the cellphone for longer than 2500 min’s in a very 30 days. Because from the harmful effects, every year you will find 40,Thousand fresh cases associated with attention cancers or mental faculties tumours. 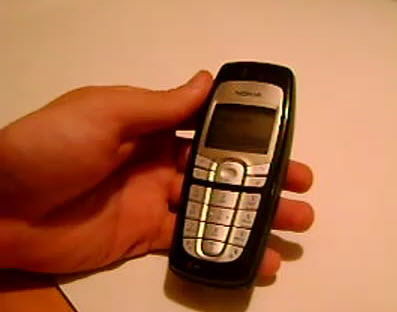 GSM cell phones trigger much more damage than others phones operating upon CDMA systems. The cellular podiums give off enough radiation to boost cardiovascular pitfalls just like high blood pressure, palpitations, heart failure arrhythmia, and so on. Cell telephone radiation also straight has an effect on nice hair. It’s amazing to see so many people tied to the leash of a cell phone these days. It seems that you can’t drive or even take a walk without seeing scores of people with cell phones seemingly implanted into their ears. While the increase in communications technology is certainly impressive, very little is being brought into the public discourse about cell phone health risks. 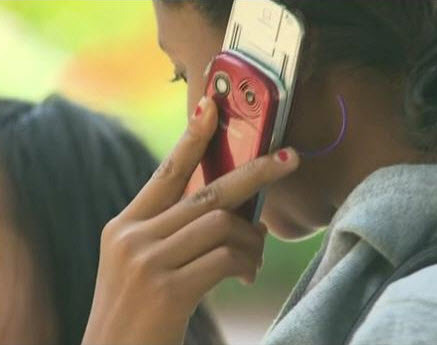 What you don’t know about the cell phone that’s glued to your ear several hours a day, could lead to some serious health issues later on in your life and actually cause damage to your brain. Is it worth the health risk to your brain to have that telephone conversation on the way home? If you apply a bit of critical thinking for a moment, the cell phone health risks are a lot more realistic than you might have assumed. Think about this – the radio waves, wireless network signals and other communication waves that are circulating through the air are able to penetrate wood, metal and other building materials with very little resistance. Have you thought about those same waves beaming through your body 24 hours a day? Well, it’s happening. And if you have that smartphone of yours glued to your head, it’s like holding a lightning rod in the middle of a thunderstorm. Our brains and bodies are infinitely complex, and rely on electrical impulses to think, breathe and take action. When those powerful electromagnetic waves make their way through the air and into your phone, they are having a damaging effect on the electrical impulses in your brain. In other words, that “”smartphone”” of yours may actually be making your less smart the more you use it. Scientific tests have shown that cognitive ability sharply drops when people use their cell phones, and it’s not merely a matter of being distracted either. The physiological effects of magnifying the electromagnetic waves directly toward your head results in impaired thinking and reasoning. I guess we’ll all need smartphones eventually, as all of this cell phone use is working to make us dumber by the minute. With more devices being plugged into wireless networks by the minute, before long we’ll all be besieged by more of these invisible menaces than at any other point in history. The cell phone communications industry is making billions of dollars every year, and doing little, to nothing to educate people about the very real and damaging cell phone health risks. Electricians and engineers who work with electricity and electromagnetic energy for a living can tell us all horror stories of the damage that invisible frequency waves wreak on the human body. Heck, all you have to do is look at the increase in car accidents and fatalities caused by cell phone use to know that this is one trend that isn’t going to end well for any of us. Or, you might visit a cancer hospital and count the number of brain cancer patients and compare this figure with the number ten years ago. Be aware of the invisible things that are going on around, in, and through your body. Is it worth being able to text that joke or to have a vacuum cleaner that does connect to the Internet, if your brain and body suffer for these ridiculous luxuries? I don’t think so, and I’ll be you don’t either. Cell phone health risks are very real, and with the increase of wireless communications, they will continue to multiply. So the next time you have something important to say, avoid the temptation to text it while your driving, and tell the recipient in person. Your brain will be the better for it, and you might start to remember how nice it is to talk to someone face-to-face instead of via a cell phone. The Indian government has set September as the deadline mobile phones sold in the country must carry labels declaring the device’s radiation emission levels. Citing officials from the telecoms department, The Times of India reported Wednesday that India’s new radiation rules for mobile phones and towers will take into effect Sep. 1, and added that all handset makers, mobile phone companies and cell tower companies will be informed of this deadline by end-April. The specific absorption rate (SAR), which is the measurement unit of the amount of radio waves absorbed by the user’s body, must be included on the device, manual, packaging box and Web sites of both the handset maker and ministry’s telecom department, the report added. 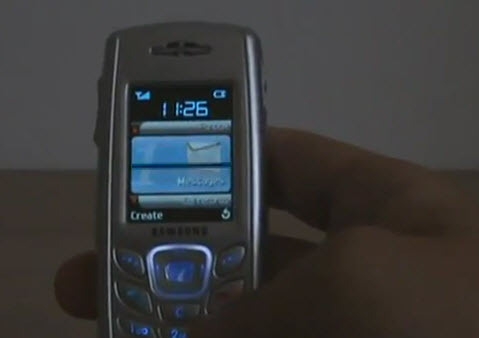 The SAR of each handset model must also be displayed at all retail outlets selling mobile phones, said the news daily. The Indian government also decreed that each handset must be sold with a hands-free device which it said will significantly reduce the user’s exposure to radiation. According to the report, India’s required SAR level of 1.6 watts per kg (W/kg) is set lower than the European standard of 2W/kg. The U.S. city of San Francisco in 2010 had planned to establish a law requiring mobile phones to display their SAR levels, but the proposal was dimissed by a U.S. judge the following year. (NaturalNews) Cell phones emit a dangerous non-ionizing form of electromagnetic radiation; radiation which can be absorbed by the tissues and cells which come into close contact with the phone, e.g., the head and neck. Scientific studies in the past have produced conflicting results; however, more recent studies working with long term exposure, (ten years or more), have clearly established that a link between cell phone use and certain forms of cancer exists. Drs. Lai and Singh (University of Washington) were the first to use the comet assay in rats to show DNA damage, double strand breaks, after being exposed to cell phone radiation. The comet assay is one of the most conclusive tests available to measure the fragmentation of DNA. Current studies looking at the incidence of brain cancer are backing this up. Using the cell phone on a regular basis almost doubles the chance of adult brain cancers on the side of the head used for talking on the phone. Cancers are not just confined to the brain. Cancers of the parotid salivary gland and the thyroid gland, located in the neck, are on the rise too. In 2009 on Capitol Hill, several well respected experts testified on the potential health effects for cell phone users (270 million), in front of the Senate Appropriations Subcommittee. • Dr. Siegal Sadetzki, Cancer and radiation epidemiology director of the Chaim Sheba Medical Center, (Israel) conducted 10 years of research in this area and published findings in 2008 on the findings of salivary gland tumors with heavy usage. Dr. Sadetski saw consistent positive results and observed the tumors always appeared on the same side of the head where the phone was held. A final consideration: Dr. Lai came to the conclusion that certain findings coincided with who was backing the study financially. Almost seventy percent of the studies sponsored outside the industry showed a connection between cell phone use and health complications while less than 30% of the studies sponsored by the cell phone industry reported similar findings.